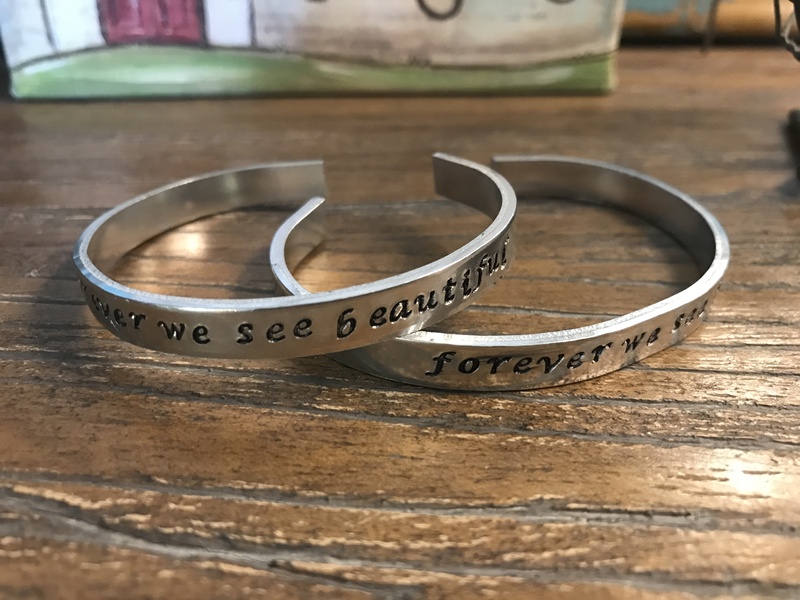 Hand-Stamped “Forever We See Beautiful” aluminum bracelet. 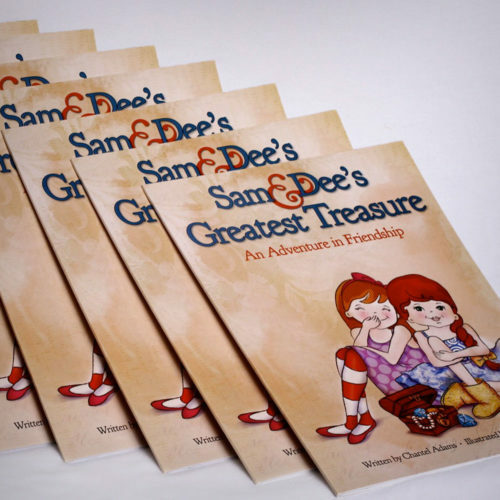 The perfect gift for a parent or friend. The choice of recycled aluminum vs. silver means the bracelet is virtually weightless, but the reminder to see beautiful is strong. 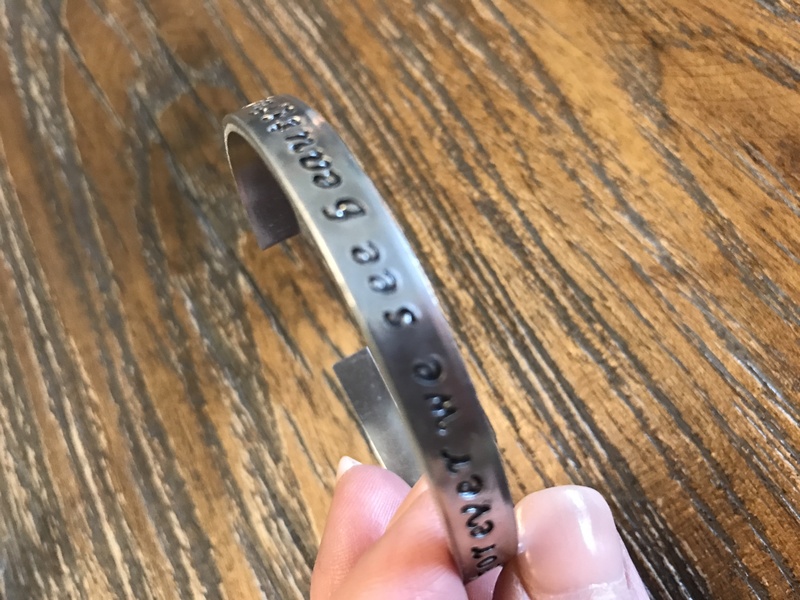 As you glance at your wrist, you’ll be reminded of the beauty you inherently possess and to see beautiful in the world around you. 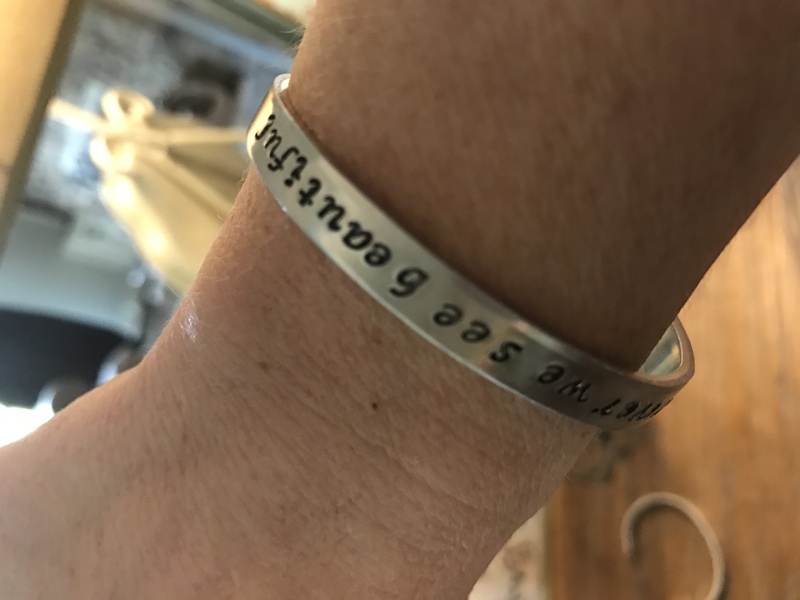 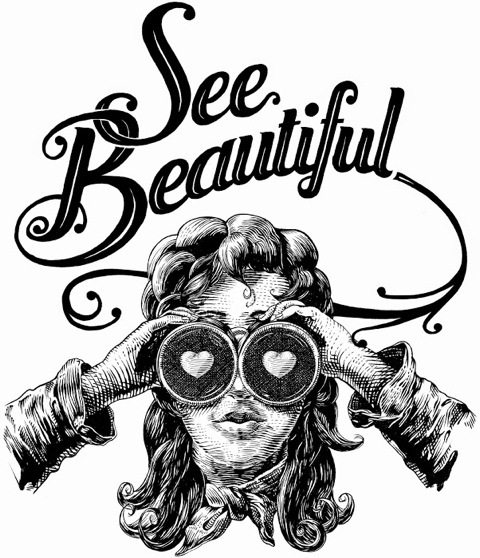 Perhaps a passerby sees the bracelet and it serves as a reminder to her/him to take a moment to see beautiful as well!